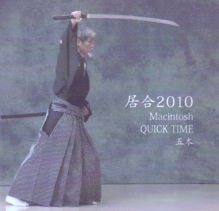 Japanese Bushido was established in 940, middle of Heian Era. It said "Do not make any harms to the women and children of the enemy". In 1558, Oda Nobunaga held up "I with virtue of bushido designate this country as peace." for the peoples and farmers. 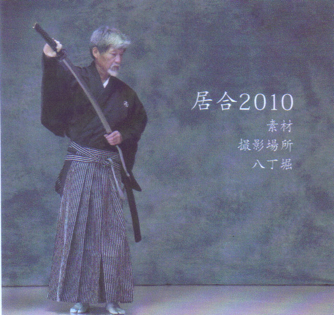 We are spreading "Spirit of Iaido which is main factor to lead the Spirit of Bushido" to the world. Ekisui-kan School of Iai-do Internet Course "Self-defence based on Iai-jyujyutsu"
In our internet course by DVD or on the paid website, movie is composed with 113 cuts. Each movie contains English explanation. Ekiisuikan will grant Sho-dan(1st grade) to the student who completes "Shoden", Furthermore Roku-dan(6th grade) will be granted to any which acquire everything to "Chuden","Okuden","Tachi-wasa". We will instruct the secret of old styled "Kumitachi" and 37 wazas of Tsumeai to the student only who mastered 6th-dan. Each volume ￥30,000.- Each DVD contains Japanese/English explanation. The movie of each waza shows the front view and the side view.